Being thrifty in our homes is becoming more and more popular. It is an excellent way to save money by recycling the items we already have at our disposal without going out to the store to buy something we potentially never needed. We all work hard for our money, so being able to save some for ourselves every once in a while is always going to be welcome. Making our lives a little bit easier is also welcome, and being able to find alternative uses for these everyday products can help to save ourselves some time and effort. Transforming something and finding a new use for it is known as upcycling and it requires us to think creatively in order to find solutions with the materials at our disposal. Finding innovative solutions to common problems are what inventors aspire to, so we think many of these alternative uses for everyday products border on genius thanks to their simplicity. Improvising and solving the problems many of us face everyday is a useful skill to have and there are many people out there who are proud of their ingenious problem-solving skills around their homes. Have you ever made any quick fixes around your home? Maybe you’ll see something similar to your own invention among these simple but effective alternatives uses for famous products. The world loves pizza, it is one of the most popular food choices out there. While we often like to go a restaurant for it, or order takeout, sometimes we will actually cook them ourselves. It can be frustrating when you’ve done the hard bit (cooking it), and now all you need to do is slice it before you can begin eating. 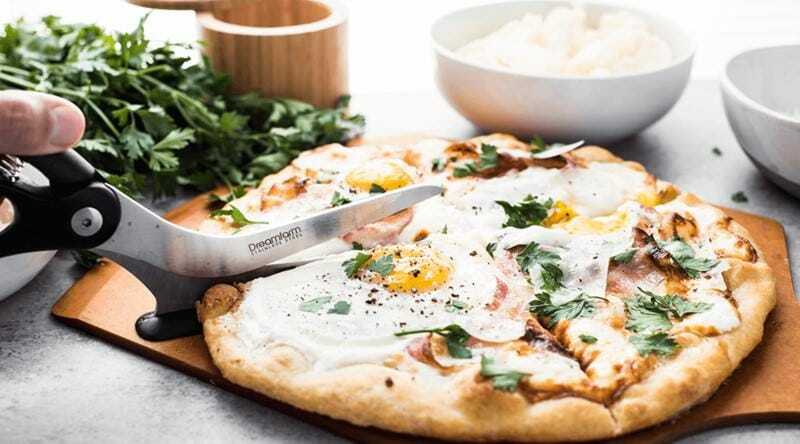 Sometimes it can be tricky getting the pizza cutter to slice all of the way through the cheesy pizza dough, but there is an alternative. If you use a pair of kitchen scissors, you will find that you can cut your pizza much easier, allowing you to devour its cheesy goodness much quicker. Spaghetti is a commonly cooked pasta in many homes across the world. It is quick to cook and can be fun to eat, especially if you like slurping up each individual strand. It is quite long, and when it is uncooked it breaks super easily. Mostly it comes in a bag, but the bag will not stop the pasta from breaking. 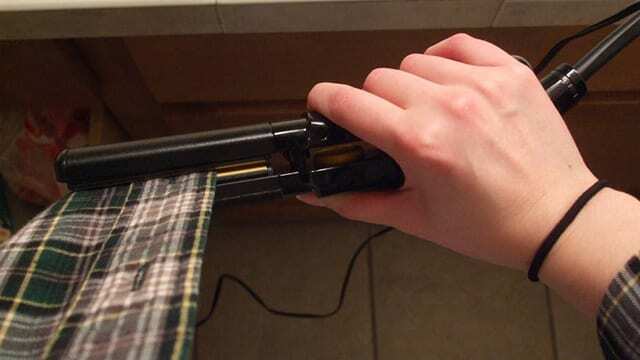 There is a solution to the problem though! 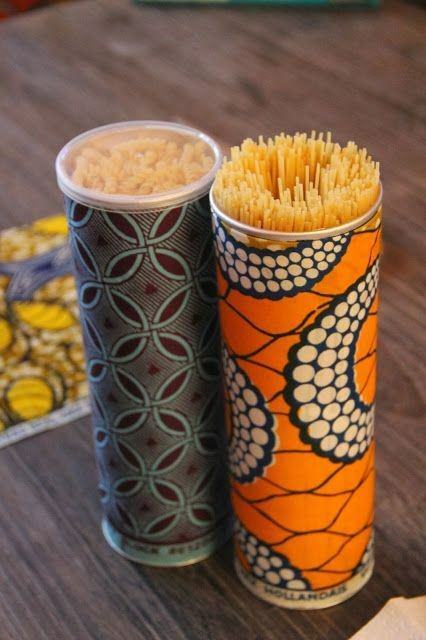 If you use an empty Pringles can you can protect your spaghetti from breaking, and it will help to keep it fresh too. If you want to jazz it up a bit, then feel free to decorate the can to avoid disappointment when searching for Pringles. Decorating can be tricky. You need to make sure you put tape on the walls and paper or mats down to protect your carpet from the drips. 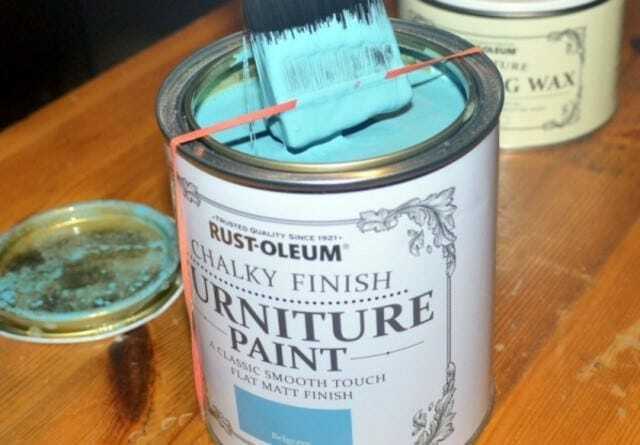 It is difficult to dunk your brush into the can of paint and keep the gloopy liquid from dripping down the brush and onto the floor. Using a thick rubber band, you can place it around the can and use it to scrape off any excess from your brush, avoiding all of that unnecessary dripping. So you’ve put a few stickers on your car bumper to let everyone know you are, in fact, hilarious but you’ve grown tired of driving around with the stickers on your car. Trying to get those stickers off without leaving any residue behind is nearly impossible without some aid. Luckily, someone discovered that by using WD40, you can easily remove the gunk that is left behind when you take the sticker off. Perhaps you want to sell your car, now your bumper stickers won’t be putting off any potential buyers. Shirt buttons have a habit of pinging off, especially after a large meal. The thread used to attach them to your garments is often thin and fragile, meaning it is hard to prevent them from falling off. 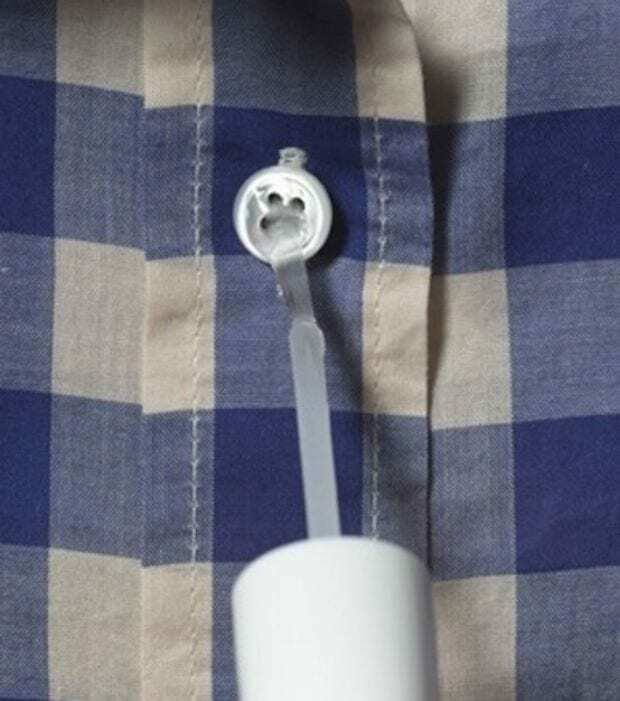 Applying some clear nail varnish to the thread on your buttons will prevent it from fraying, and your buttons will stay on your clothes much longer. This works well if you are in a pinch and don’t have a sewing kit nearby. Hanging your keys up is a practical thing to do, meaning you’ll always know where they are when you are at home. 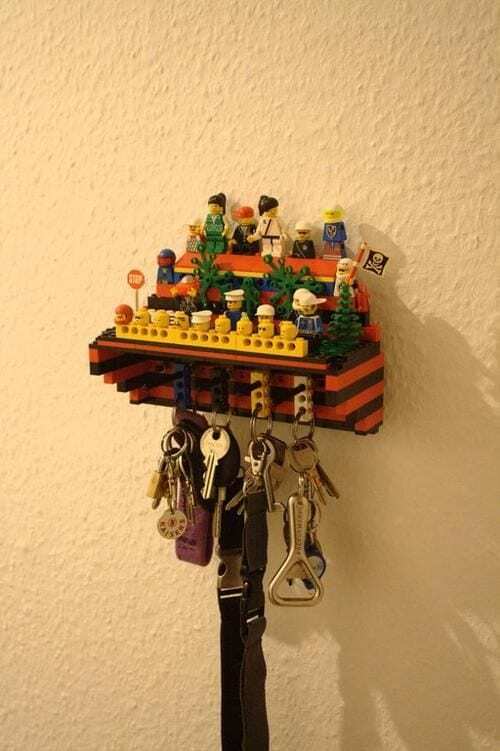 Often practicality doesn’t mean exciting, but using Lego blocks to make your own key holder means you can have it both ways. You can use those little bricks with the holes in to attach to your keychain, and that’s it. If you get bored of your key holder, you can dismantle it and build something new instead. It can feel like a lifetime to wait for your car windows to demist during the colder months of the year. 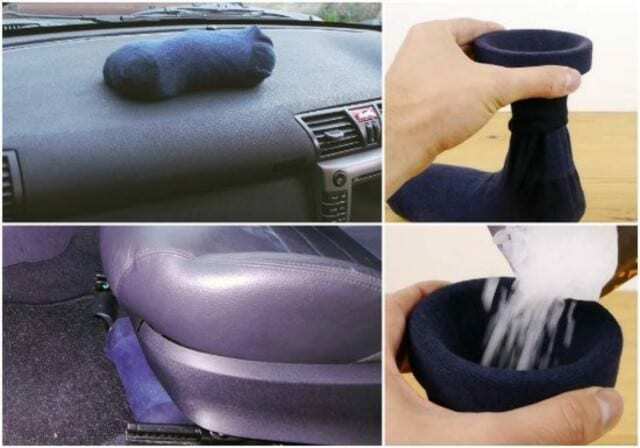 One way to stop that from taking so long is to put a sock filled with kitty litter in your car. It will absorb all of the moisture, preventing it from forming on the windows. Now when you get into your vehicle before heading to work in the morning, you won’t have to sit there blasting air at the windows while you sit freezing in the driver’s seat. Trying to fit everything in your suitcase is tricky enough without having to try and keep your shoes in a separate compartment to avoid getting your clothes dirty. 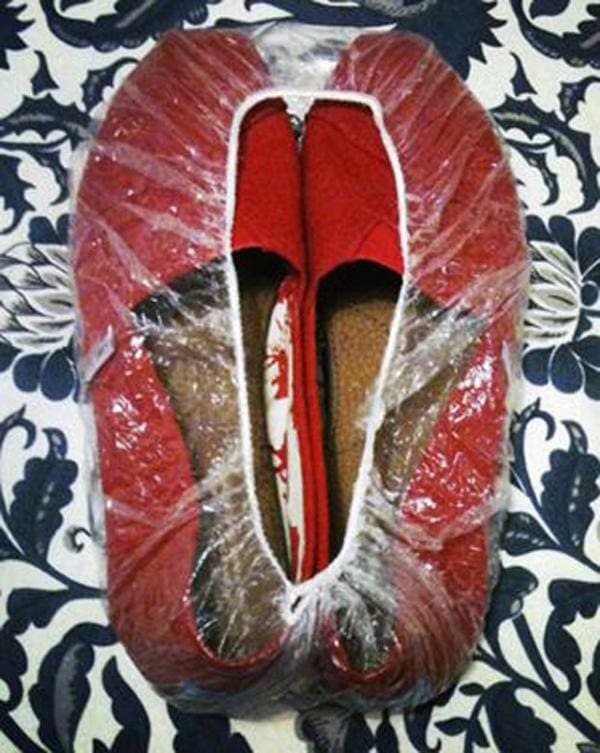 If you put shower caps on the soles, you can safely put them anywhere in your luggage without the fear of marking your nice clean white clothes with dirt from the bottom of your shoes. You’ll be able to get to your vacation destination without having to find somewhere to do your laundry. Without cupcake cases, there would be fewer delicious cupcakes in the world, and we think that would be a tragedy. 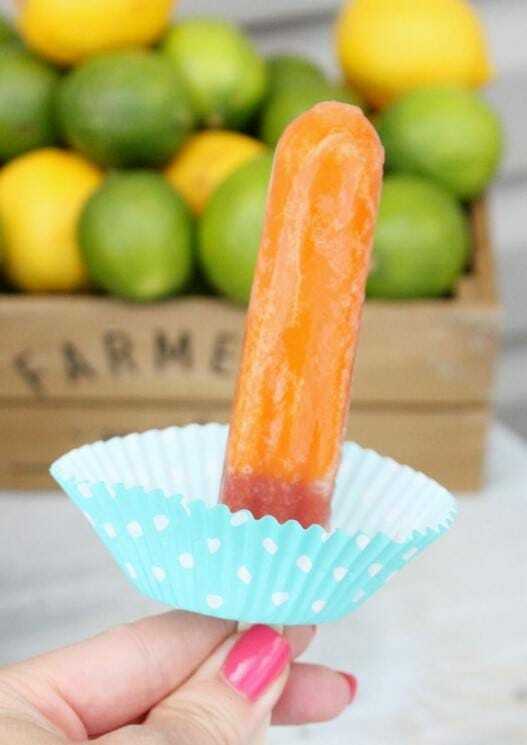 As well as helping to make cupcakes, they can be used to stop your ice lollies from dripping all over your hands. We generally eat an ice lolly because it is hot, which means they are going to be melting, fast. Now you can eat away at your melty ice lolly without feeling like you need to take a shower because you’re so sticky afterward. When you come back from the grocery store, you’ll often find that you’ve got another load of plastic bags you need to find somewhere to put. We keep them because we think they might come in handy but there aren’t many storage solutions for them. Try using an empty tissue box to store them in. 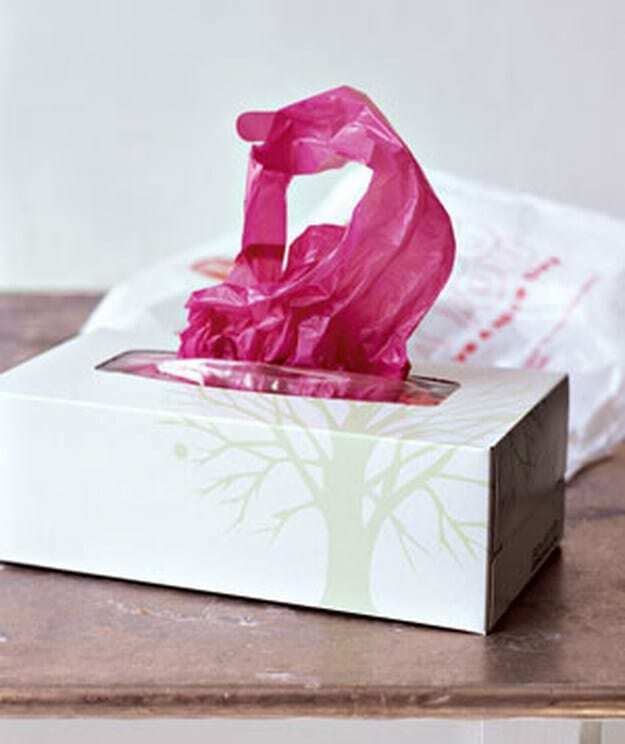 You can squash a pile of plastic bags inside and then pull them out one by one like they were tissues. Some of our favorite sweaters and cardigans have often given away the fact we maybe wear them a little too often, thanks to the bobbles found on them. One way to remove these bobbles and make your clothes look new again is to rub a hair roller over them. 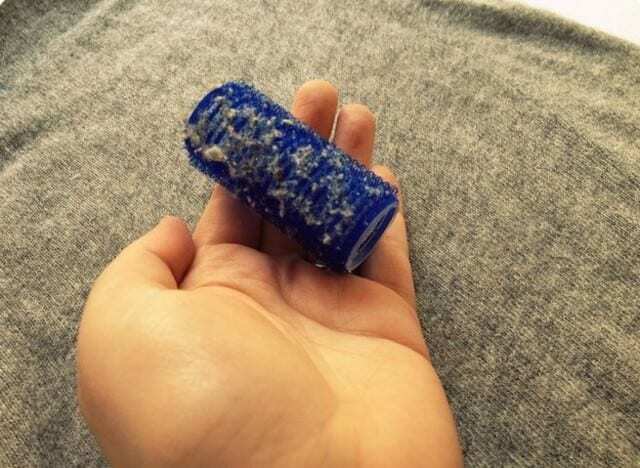 The roller will catch the bobbles and remove them without causing any damage to your much-loved garments. Now that sweater will see you through at least one more winter! If you’re coming in and out of a door regularly, it can be really annoying when the latch catches and you have to fumble for the handle. Imagine you are cooking and then bringing through hot plates to the table, reaching for the handle might result in dropping the food all over the floor – truly a disaster! 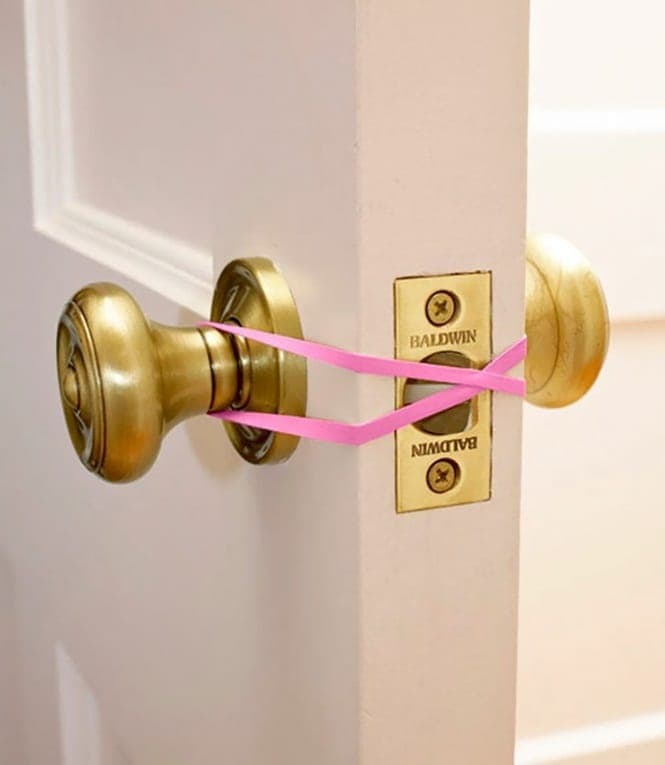 If you wrap a rubber band around the handle like this, you can keep the latch from catching, meaning you can give the door a gentle nudge and it’ll open for you with ease. At our workstations we are plugging more and more devices into the sockets, meaning we have to find a solution to declutter all of the cables. Attaching a few binder grips to the edge of your desk can really help tidy your desk in an instant. All you’ll have to do is first untangle all of those cables one more time, and then you’ll never have to do it again. 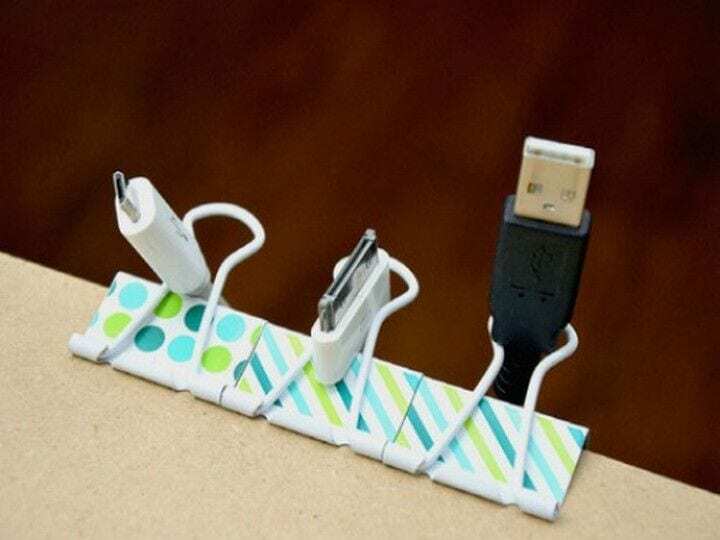 A simple hack you can achieve by walking over to the stationery stash and grabbing a few clips. Staying with the office theme, there is another useful stationery item that can come in handy. 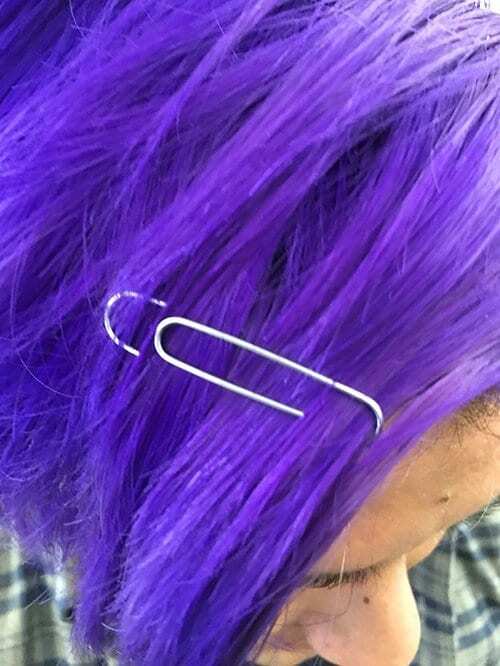 If your hair keeps falling down in front of your eyes and you have forgotten to bring any bobby pins, then you can just use a paperclip to keep your hair in place. It works just as well, and once you’re done with it you can use it to organize your files; it might even become your essential hair product from now on. If you are anything like us, then your closet is probably a mess. There are just so many clothes and not enough room to fit them all in! 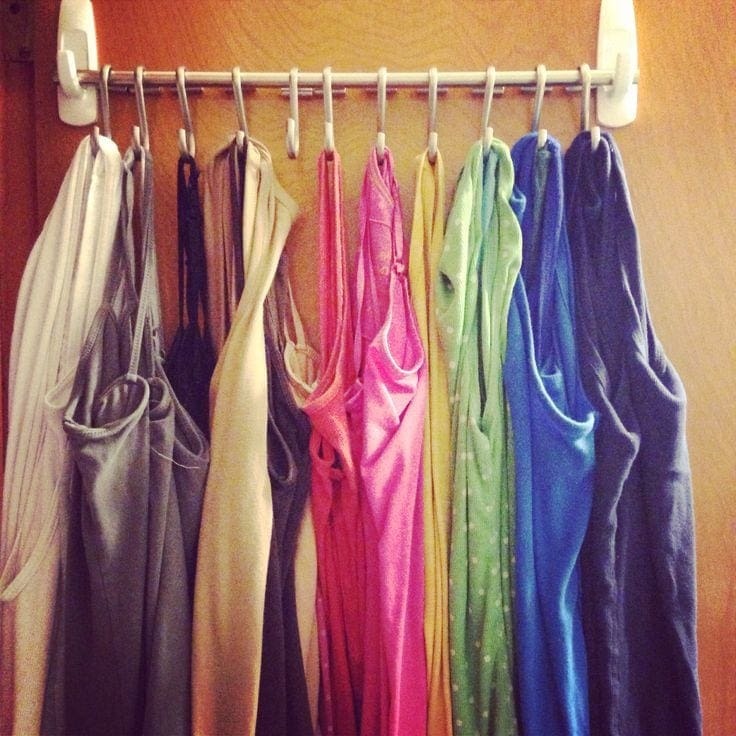 If you use just some plain old shower hooks, you can significantly increase the capacity of your closet, allowing you to hang up even more stuff. You can use them to store small clothing items or even necklaces. This simple hack will mean you won’t have to waste loads of time trying to find your favorite top in a huge pile of unsorted clothes. Many of us will have those little boxes to store our earrings in, which is great, but that doesn’t stop us rummaging around trying to find a matching pair. 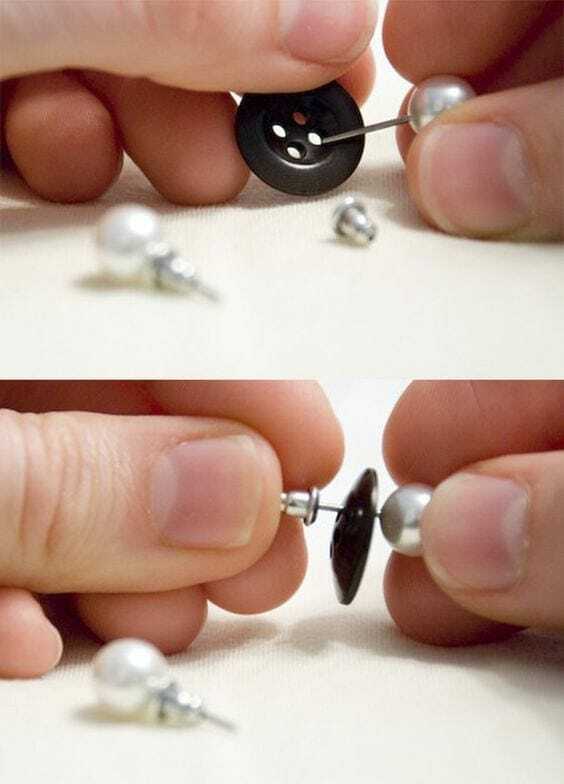 If you put your earrings through the holes in any spare buttons you have lying around then you’ll always be able to keep them together. That means you won’t have to look in every crack in your bedroom to find the missing earring from a pair. Pencils come with erasers to allow us to make mistakes, that’s why cars come with bumpers, to allow us the occasional bump without causing too much damage to our vehicles. If you’ve been a little careless one too many times, you might have a few scrapes left in the paintwork of your car. 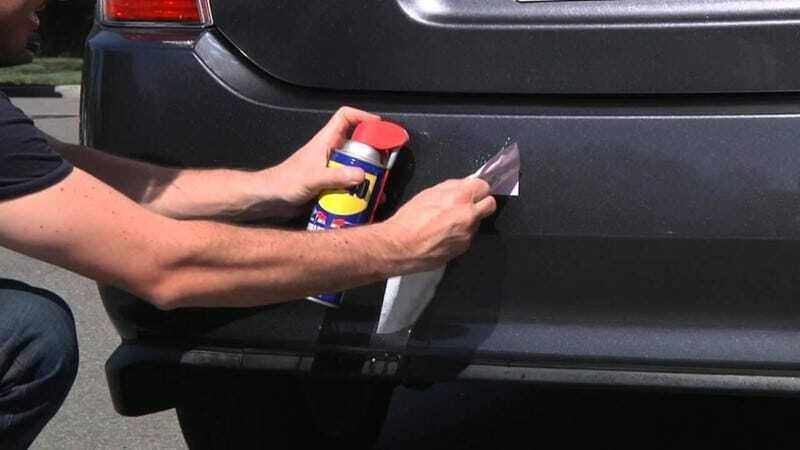 Just by taking some regular toothpaste and rubbing it on your car you can remove any evidence that you drove into your garage door, or the plant pot, or your neighbor’s car. You’re going out for the evening, and you feel like you’re ready until you take a look in the mirror. You can’t help but notice that there are a few creases on your top but you’re already dressed and you don’t want to mess your hair up by taking your clothes off. Just fire up your straightening irons and use them to flatten out the creases in your outfit. That’ll save you getting undressed and having to prop up the ironing board! You’ve got some lovely vintage wooden furniture that has been passed down through the generations in your family. Unfortunately, it has all been very well used and is now showing plenty of scuff marks. 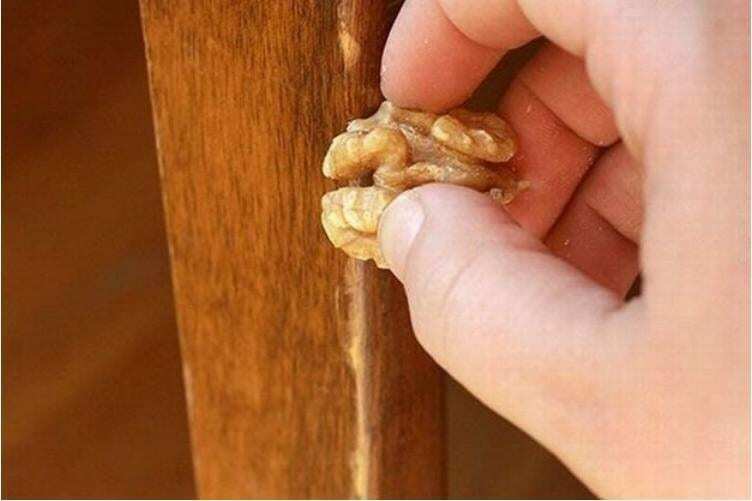 Without having to strip and varnish the wood all over again, you can simply rub some walnuts on the scuffed areas, and the marks will disappear before your eyes. Rejuvenating your old wooden furniture, making it look almost as good as new once again. Milk can be used for so many things that many of us go through one of those big gallon jugs in no time at all. Instead of throwing them away they can be reused to help around the house. Cutting off the bottom will convert them into useful scoops that can become a real time saver for the future. 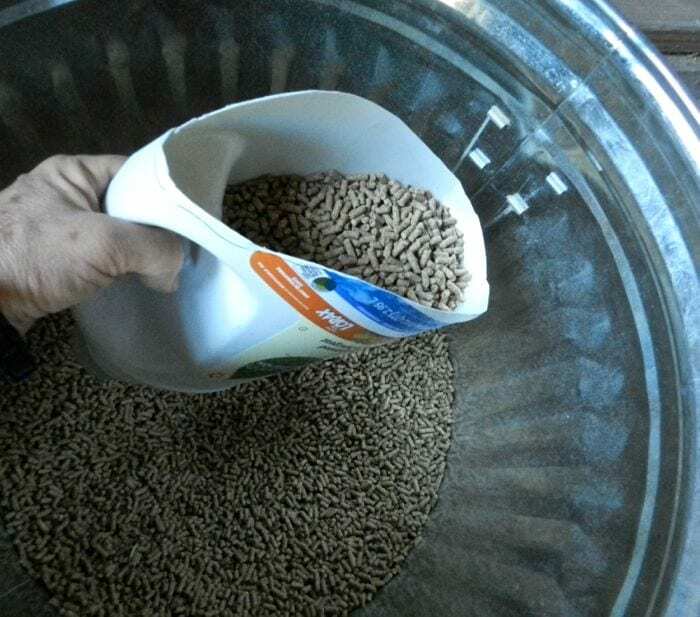 Now you won’t have to slowly tip the dog food out into their bowls from the packaging, you can just plunge your makeshift scoop into the bag.